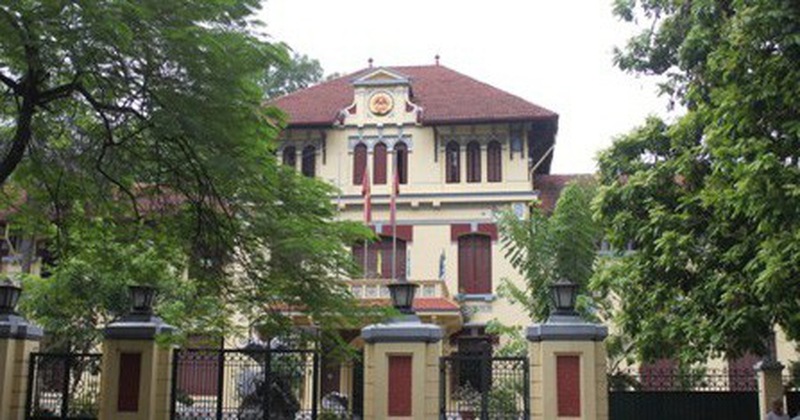 The headquarters of the Vietnamese Ministry of Justice in Hanoi is seen in this Tuoi Tre file photo. The Vietnamese Ministry of Justice has accused some news sites and social media profiles of reporting inaccurately on the verdict of an investment lawsuit filed by a Vietnamese-Dutch businessman against the Government of Vietnam. In a statement on Friday, the ministry confirmed that an arbitration council, founded in line with the United Nations Commission on International Trade Law (UNCITRAL) arbitration rules, had issued a verdict in Trinh Vinh Binh's lawsuit against the Vietnamese government on April 10. Binh, 72, sought US$1.2 billion in compensation for financial losses and the return of his seized assets when the businessman was sentenced to prison in Vietnam for “land management violations” in 1998. The justice ministry said both parties in the case “have the responsibility to keep the verdict a secret” according to arbitration rules. However, some online news site and social media profiles have been reporting “inaccurately” on the content of the verdict in addition to adding their own “subjective interpretations and speculations” of the verdict, the ministry said. This has led to “misunderstandings” in public opinion, it stressed. The justice ministry said it is working closely with competent agencies and a law firm representing the Government of Vietnam to study the verdict carefully and devise the next steps to be taken in this case. These steps must be in line with provisions of the law and safeguard the interests of the Vietnamese government to the best possible extent, it said. Trinh Vinh Binh is a Vietnamese-Dutch businessman who was born in 1947 in the Mekong Delta province of Soc Trang. After years living abroad, Binh returned to Vietnam in 1992 and invested heavily in real estate, purchasing over 2.5 million square meters of land and more than ten houses in the southern province of Ba Ria – Vung Tau. Four years later, on December 5, 1996, Binh was arrested and prosecuted in Ba Ria – Vung Tau on charges of violating regulations on land management. Between December 7 and 11 the same year, Binh and five others stood trial at the provincial court for their alleged crimes, with the businessman facing five years for his land management violation. On May 4-5, 1999, the appellate court of the High People’s Court of Ho Chi Minh City reduced Binh’s total sentence to 11 years and had his assets seized. In 2015, Binh filed a lawsuit against the Vietnamese government with the International Court of Arbitration in Paris, demanding $1.2 billion in compensation for financial losses related to the ordeal and the return of his previously owned assets in Vietnam.